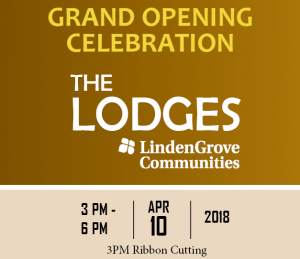 We officially opened the Lodges at LindenGrove this afternoon during a ribbon cutting and grand opening ceremony. The Lodges advanced assisted living completes our continuum of care on the Waukesha campus, which now offers assisted living, advanced assisted living, memory care, short-term rehabilitation, skilled nursing and temporary assisted living. In case we were unable to attend the event, the Waukesha County Business Alliance took video of the ribbon cutting ceremony.